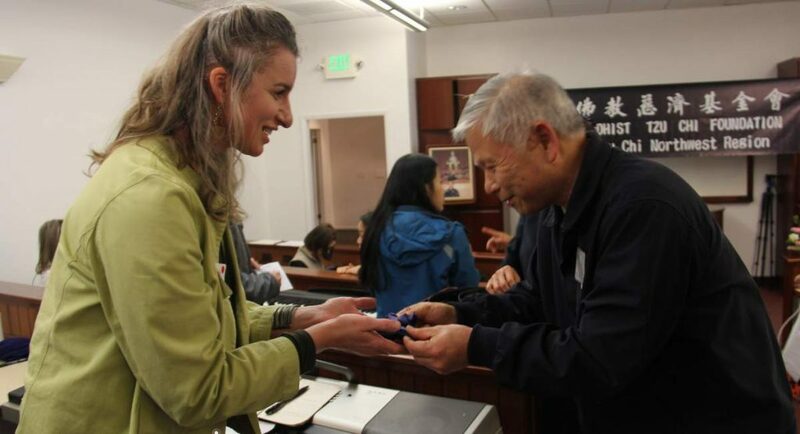 On March 9, 2019, Tzu Chi’s Northwest Region held its first new volunteer workshop in Chico, California, where Tzu Chi volunteers had based their relief operations right after the Camp Fire four months ago. 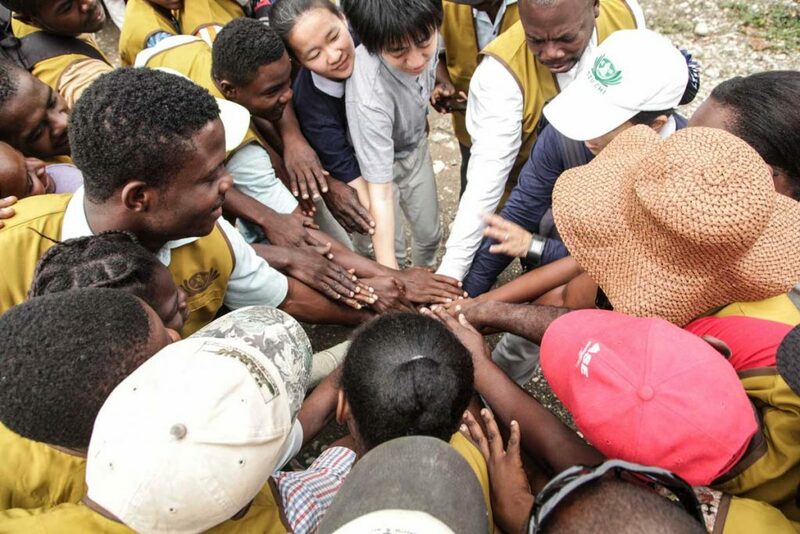 The goal: to equip volunteers on-the-ground with the tools to offer long term care through Tzu Chi USA. 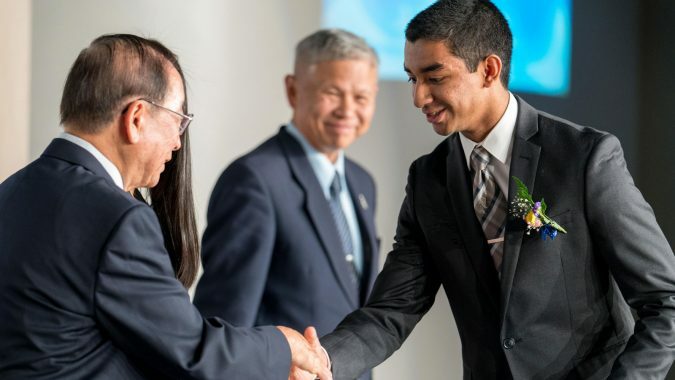 Many drop-in volunteers who had participated then, during the “Hope Heals” campaign, were invited to come back and learn more about the operational side of Tzu Chi’s humanitarian work. 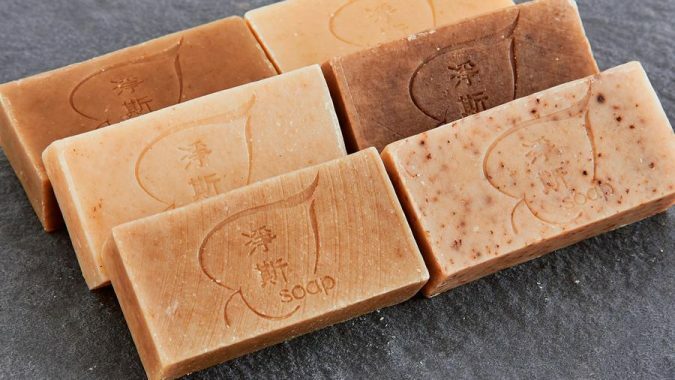 Including Mandy Miao, Elizabeth Kuiper, Bobbie Rae Jones, and YuhFen Lin. By March, it was still chilly in the Northwest, but Mandy came to the workshop with her three-month-old puppy, Ai Fu, in tow. After the Camp Fire broke out, Mandy, originally from Taiwan and a Chico resident for over 25 years, knew she had to do something. She called two of her friends who had lived within the perimeter of the flames, to see if they needed help and rented out her shed to some family friends. Then, Mandy learned that an organization founded in Taiwan, Tzu Chi USA, was providing relief services at the FEMA Disaster Relief Center in Chico, CA. She brought a friend, YuhFen Lin, to join and drop-in volunteer. 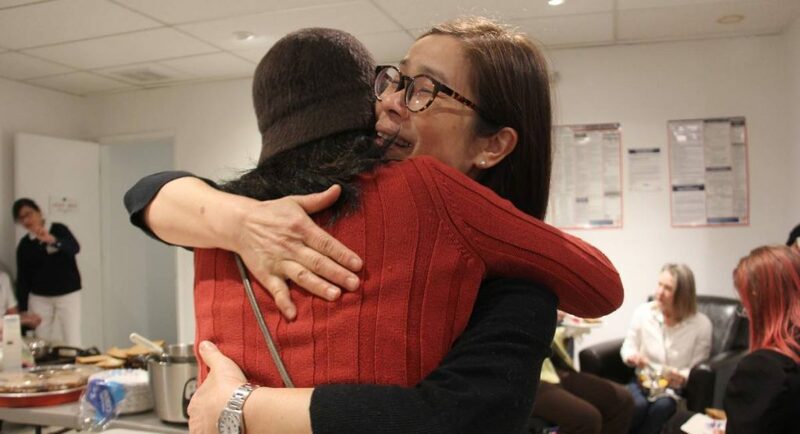 Together, they offered cash cards to survivors and offered some emotional comfort. Inspired by the community of good she witnessed during her volunteer experience, Mandy is committed to joining long-term aid through Tzu Chi as a volunteer and has since participated in a few home visits. 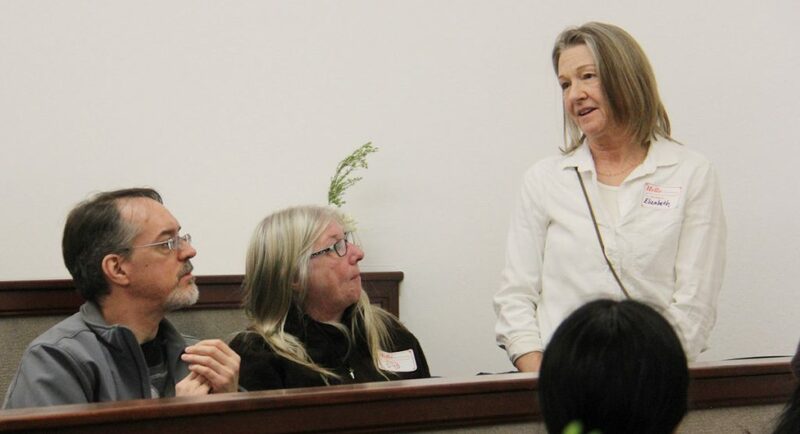 At the workshop, she expressed that she hoped she could do more for her neighbors in and around Chico. Elizabeth, too, was also a drop-in volunteer during the “Hope Heals” campaign. The owner of a printing shop in Chico, she would close the store at noon so that she could volunteer to provide cash cards in the afternoons at the Chico Disaster Recovery Center. 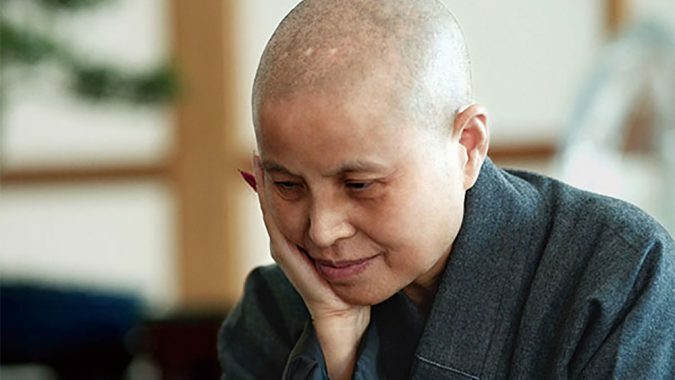 Avidly interested in Eastern philosophies and religions, Elizabeth shared that the Bodhisattva spirit shows love without prejudice, that if one can give love wholeheartedly, one gives hope in the process. Bobbie Rae, a local masseuse, also had the chance to work through multiple stations at Tzu Chi’s booth at the Chico Disaster Recovery Center. 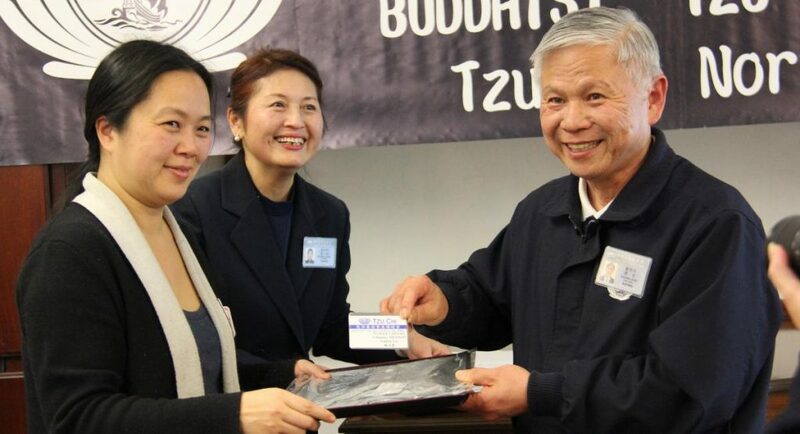 Whether it was handling registration and intake or personally providing cash cards, she repeatedly worked with Tzu Chi volunteers to help the people from the greater Butte County community. As the workshop covered the topic of case management, Bobbie was amazed at the extent of Tzu Chi’s expertise and experience when it came to handling home visits. Even after two months after the Camp Fire, Tzu Chi volunteers from the Bay area would travel by bus to check in on families still living in tents. YuhFen, who came along with Mandy as a drop-in volunteer, is a professor at CSU Chico. 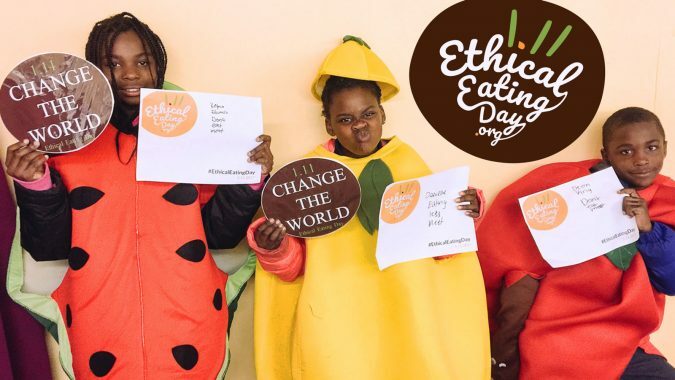 She helped with visits to local government and local community groups, in the hopes of building connections that could lead to partnerships and cooperation. YuhFen also participated in case management class held by the local government. Thanks to her efforts, Tzu Chi has the venue that it does for hosting this workshop. Altogether, 18 Tzu Chi volunteers took a 4-hour bus ride to come here all the way from the San Francisco Bay Area. 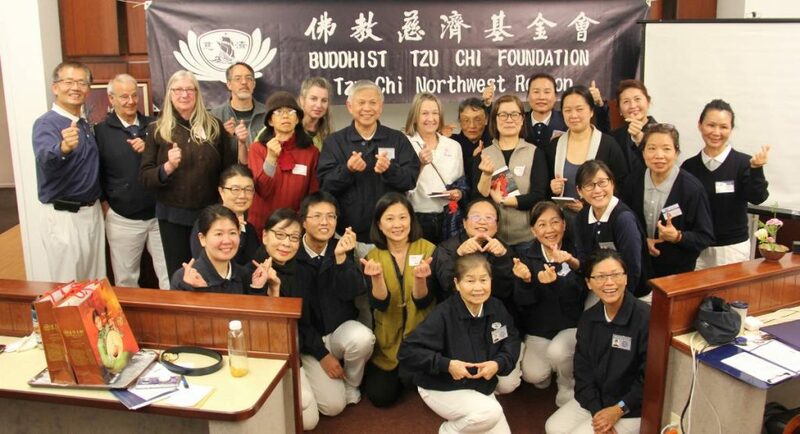 They helped 9 new volunteers become official members of the Tzu Chi team. Together, they’ve devoted themselves to long-term recovery, in time for spring, when hope can begin again.